Disturbed by the resurgence of killings by alleged herdsmen and bandits across the country, the House of Representatives request President Muhamnadu Buhari to address the House and the nation within 48 hours. This followed a motion under matters of public importance by Mark Gbillah (PDP-Benue) at Thursday plenary presided over by Speaker Yakubu Dogara in Abuja. He noted that this had resulted in the loss of hundreds of innocent lives and the displacement of thousands of Nigerians who had fled their homes and means of livelihood for fear of losing their lives. “The House is alarmed at the brazen nature of the attacks by the herdsmen and alleged bandits who attack these communities with impunity brazenly clad in Military fatigues and audibly communicating with each other in Fulani as reported by eyewitness accounts from the recent attacks in Kaduna. “Obviously emboldened by the inability of the Nigerian Armed Forces to curb their activities, these killers have gradually progressed from attacking remote villages at night to sacking whole towns in broad daylight displacing residents and occupying affected communities,” he said. According to him, the House is disappointed at the reactive responses of the Nigerian Armed Forces to these attacks under this Administration and their inability to proactively attack the publicly known locations of these herdsmen or establish a permanent base at restive locations in line with globally recognised rules of engagement. The lawmaker also expressed worry over the inability of the National Emergency Management Agency (NEMA) to fulfil its statutory mandate of providing relief materials and rehabilitation to hopeless displaced persons and their affected communities. He stressed that the House could no longer condone the continuous killing of innocent Nigerians with impunity despite the plethora of motions and resolutions passed on the floor of the House and the Senate. 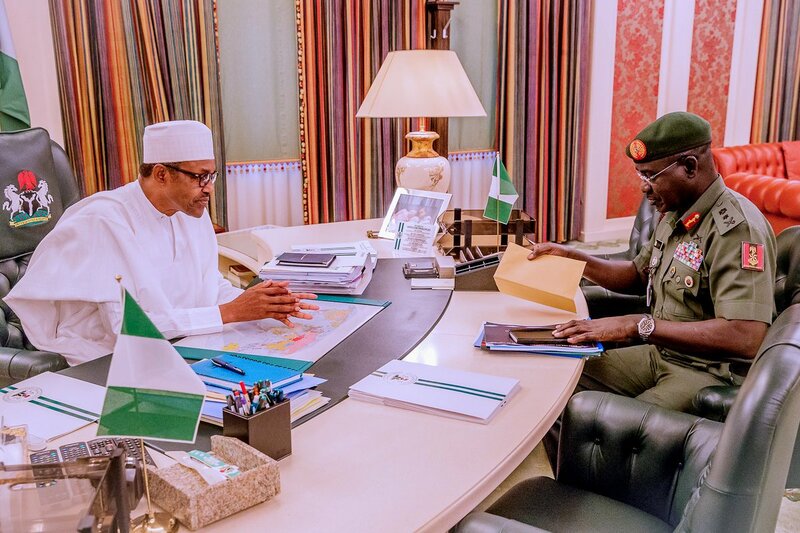 “We have no other option than to directly engage the President and Commander In Chief of the Armed Forces who has primary responsibility for the security and welfare of every Nigerian citizens,” Gbillah stated. When the motion was put on a voice vote by the Speaker, Dogara, the whole members unanimously supported it. The lawmakers, however, resolved that President Buhari should “address the House and the nation within 48 hours on: his inability and the inability of his Administration since inception to declare the killer herdsmen as terrorists to enable commensurate action against them by the Armed Forced. “The inability of the Armed Forces under his watch to stop the recurring death of scores of innocent Nigerians annually from systematic attacks by killer herdsmen and alleged bandits and the gradual occupation of affected communities by these herdsmen despite countless assurances and statements by him promising to stop the attacks. “His selective and ineffective responses to the killing of Nigerians by herdsmen especially when they occur in certain parts of the country like Benue. “The immediate measures he intends to employ as the C-In-C to provide the Armed Forces, including the Police with the required resources (equipment, welfare, etc) to confront and dislodge the killer herdsmen from their hideouts. The House resolved that if the President failed to respond to aforementioned requests within 48 hours, he and his Administration would be seen as incapable of permanently curtailing the incessant killing of innocent Nigerians by killer herdsmen and the occupation of their land. It added that the government would be termed to have failed in its primary constitutional responsibility of ensuring the security and welfare of the citizens of Nigeria. The House, therefore, constituted an ad hoc Committee to interface with the Presidency and engaged the Minister of Defence, Chief of Defence Staff, Service Chiefs, among others, in a public hearing to determine permanent solutions to the menace.